See more coverage of this story: The second-largest religion in each state (June 4, 2014); The Runner-Up Religions Of America (June 22); Maybe there ARE more Baha’is than Jews in South Carolina! (June 26). A map purporting to show the second-largest religion in each state appeared on the Washington Post's GovBeat blog early this month, and it made a surprising claim: Of all 50 states, South Carolina was the only one where the second-largest religion was Bahá'í. For those who know the conservative Christian religious landscape of South Carolina, and especially for those who know the theologically liberal leanings of Bahá'í, which calls for the unification of all world religions, the map came as a surprise. In most Southeastern states, the second-most common religion after Christianity (an umbrella group that included Catholics, Protestants, and Mormons) was Islam. Today, adherents of Bahá'í in South Carolina report that the religion is concentrated in rural, largely African-American communities. 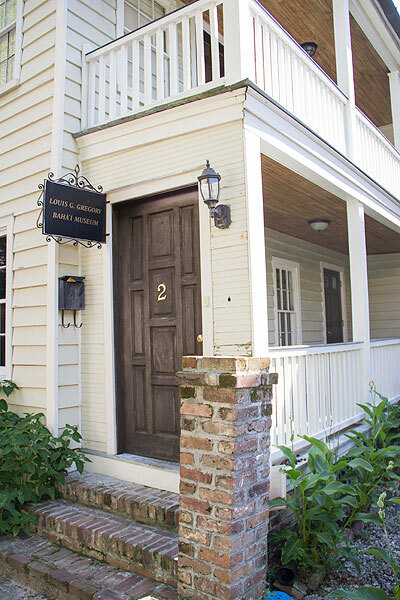 While Charleston County reported just 676 Bahá'í adherents in 2010, the statewide number was a staggering 17,559, second only to California. (As a point of comparison, Reform Judaism, which also has deep historical roots in South Carolina, reported just 3,820 adherents statewide.) 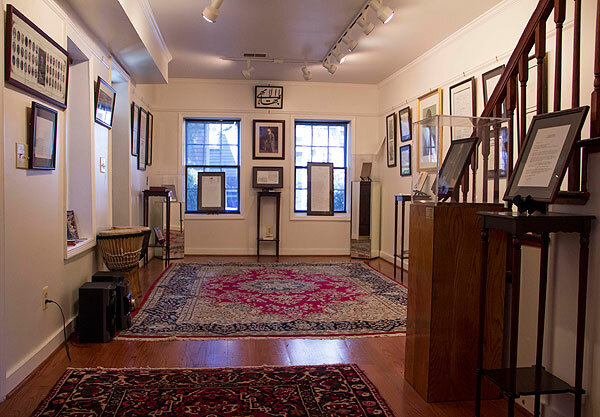 * The tiny town of Hemingway, S.C., is also the home of WLGI Radio Bahá'í, one of only a handful of Bahá'í radio stations in the world, featuring devotional messages and a musical playlist heavy on smooth jazz and R&B. Bonnie Springer, a Charleston-area Bahá'í, says members of her faith have great respect for Christ and seek to have conversations with local Christians. "Because we believe in oneness, [Bahá'í] truly is a place where people can come with their own spiritual point of view and honestly and openly discuss," Springer says. 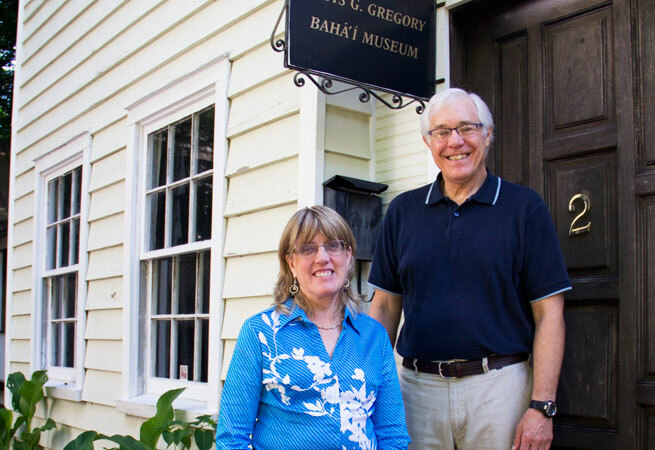 She and her husband David, an elected member of the nine-member Spiritual Assembly that oversees the tri-county area, help maintain and give tours at the Louis G. Gregory Bahá'í Museum in downtown Charleston, the former home of an important Bahá'í spiritual leader. Bahá'ís do not have priests or preachers, but they pray and meditate and read the scriptures written by the religion's early prophets. Bahá'ís do not have a house of worship in Charleston, but they hold a feast every 19 days, either in the Gregory Museum or in a local believer's home. The Springers say the crowd usually ranges from 25 to 50 people, and the group is racially diverse. Founded in the mid-19th century by a Persian prophet named Bahá'u'lláh, Bahá'í grew out of a branch of Shi'a Islam but quickly became an independent religion. Bahá'u'lláh claimed to be the latest in a line of messengers of God that included Abraham, Krishna, Muhammad, Buddha, and Christ, and he called for the unification of all religions and all humanity. He was exiled for his teachings. Today Bahá'ís face persecution in Iran and other countries. As it turns out, the history of Bahá'í in South Carolina is nearly as old as the young religion itself, and it is multiracial at its roots. The man who brought Bahá'í to South Carolina was a Charleston-born lawyer named Louis G. Gregory, whose parents had been freed from slavery at the end of the Civil War. After earning his law degree from Howard University, Gregory moved to Washington D.C., where he worked for the U.S. Treasury Department and met prominent black leaders of the time including W. E. B. Du Bois. It was in D.C. in 1907 that Gregory attended his first Bahá'í meeting, and in 1909 he embraced the faith. Shortly after conversion, Gregory abandoned his career in Washington to pursue the goal of racial unity in the American South. He began speaking to churches, literary societies, union halls, and other groups from Virginia to Georgia, including numerous stops in his home state of South Carolina. Well-spoken and well-read, Gregory brought a message that appealed to black and white audiences alike. David Springer says Gregory's speaking events were well-attended by everyone from carpenter's union members to wealthy landowners. Louis Venters, an assistant professor at Francis Marion University who has studied the history of Bahá'í in South Carolina, says the two goals of spreading Bahá'í and spreading racial unity were inseparable. "The spiritual problem was the fundamental one," Venters says. "And the politics and the economics, those were secondary issues, but if you can't establish the spiritual equality of people, then you can't get anything else done. And that's precisely what the Bahá'ís were after from the very beginning." Venters, who grew up Episcopalian in Greenville but now considers himself a Bahá'í, says he first heard about the religion as a teenager on Radio Bahá'í while passing through Hemingway with his parents. His forthcoming book, Most Great Reconstruction: The Bahá'í Faith and Interracial Community in Jim Crow South Carolina, includes stories about racial unity but also tales of woe. One early believer, he says, was Alonzo Twine, a fellow lawyer who heard one of Gregory's first speeches in 1910. After he spoke about the tenets of Bahá'í to his middle-class black church, Twine was reportedly committed by his pastor to the state insane asylum in Columbia with a diagnosis of "religious obsession." Twine died in 1914 due to complications from nutritional deficiencies at the asylum, but not until after his pastor came to visit him and took away all the Bahá'í literature and pamphlets he had with him. Venters says that the strong presence of Bahá'í in rural South Carolina today is largely due to a second wave of evangelism that began in the 1950s and continued through the '80s. The religion had already found root in urban centers, but he says that during that period, Bahá'ís worldwide began focusing their efforts on rural communities from India to Uganda to the American Deep South and Indian reservations. Venters says the spread of Bahá'í in South Carolina coincided with the Civil Rights Movement for a reason. "When interracial teams of young people came through the cities and small towns and hamlets of South Carolina and talked to folks in 1969 and 1971 about the fact that they have a new message from God and Christ has returned, and his will is the establishment of world peace and interracial fellowship, that speaks to black South Carolinians," Venters says. Deborah Deas, senior associate dean for medical education at the Medical University of South Carolina, says her parents in rural Adams Run, S.C., were among the converts in those days. They became Bahá'í when Deas was nine years old, and she remembers traveling around the state to attend Bahá'í meetings and summer school events. She says she doesn't recall any tensions with the Christian churches in her hometown, but in the late 1960s, some Bahá'í meetings around the state were fraught with controversy. "Members of the Ku Klux Klan made threats to the Bahá'ís because you had gatherings of people of all races at a time when you didn't see a lot of it publicly," Deas says. Today, Deas says there is still a Bahá'í community in Adams Run. Although the Bahá'í center that once stood there is now gone, the town still has a Bahá'í cemetery. Deas, who now travels the world with her job, says she seeks out Bahá'ís everywhere she goes. She has visited Bahá'í houses of worship in India, Australia, Germany, and Panama. "No matter where I went, I felt like I was meeting family, and I felt welcomed," Deas says. * The map was based on data from the 2010 U.S. Religion Census, sponsored by the Association of Statisticians of American Religious Bodies. Unlike more commonly cited studies by the Pew Research Center, which uses phone surveys to collect randomized sample data, the Religion Census depended on administrators and leaders within local congregations to self-report numbers of adherents. In a blog post for Religion News Service, Trinity College professor Mark Silk criticized the Post's map and the Religion Census, writing that self-reporting by religious bodies "ranges from highly accurate to wildly conjectural and self-serving."